Is It Screen Accurate? No. Does KITT Need It? YES! My latest conversion purchase is the Knight's head logo for the shifter knob. In the series the Pontiac logo normally found on the shifter knob was blacked out. I think the Knight's head, the logo designated for the Knight 2000, adds a bit of authenticity to the car. These stickers have a gel-like feel and a slight domed appearance to them. 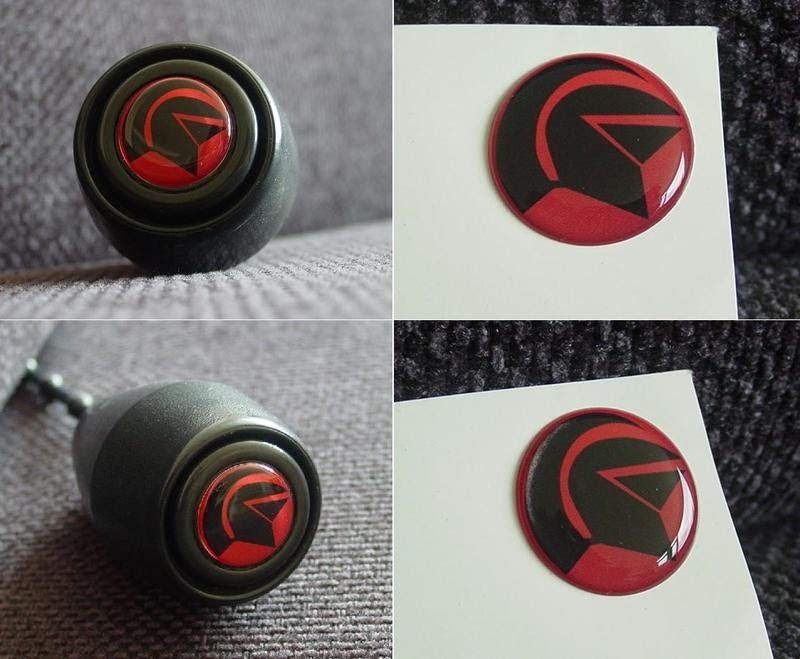 The sticker is 7/8 of an inch in diameter and is the exact same size as the original Pontiac logo so it is a perfect fit! The stickers are available from Knight Passions. 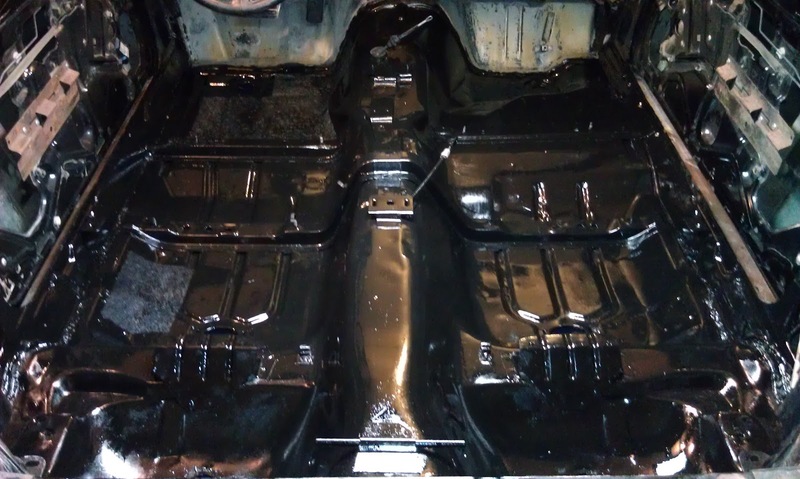 After five hours we applied the second coat of POR-15. The second application took about an hour and a half. We definitely see the advantage of having two colors. It was very difficult to see where we had applied the second coat and where we had not. We only used one can for the entire second coat. I definitely applied it too thin in some parts with the first can. We just placed our next POR-15 order. We are hopeful we will receive it by this weekend. 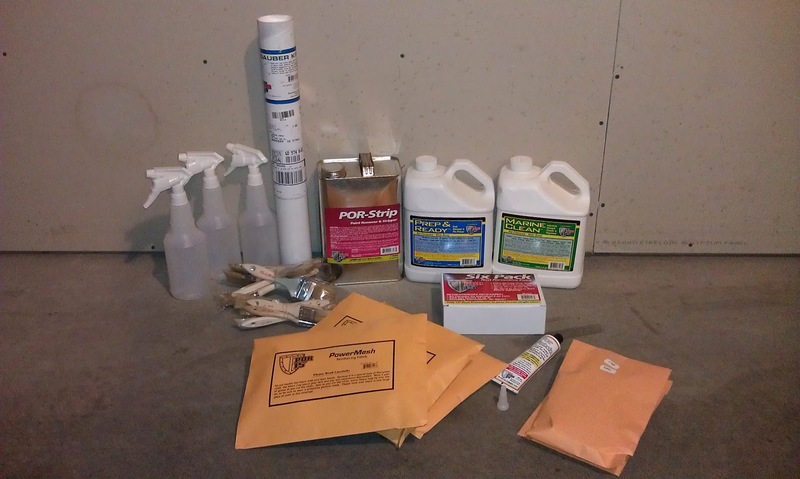 We ordered two POR-Patch tubes and another six pack of POR-15, this time with four silvers and two blacks. I found the POR-15 data sheet, and it is well worth the read because it mentions that their silver actually contains flakes of aluminum and is designed for metal strengthening. I wish I would have known that before and used it on my driver side floor pan that was rusted. It was a little maddening because we scoured the POR-15 catalog and web site researching what we need for this project and never saw that mentioned. 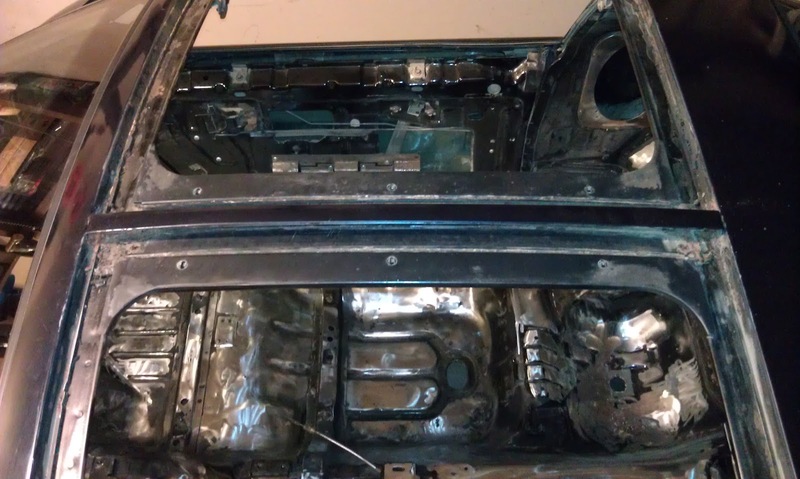 However, now that I ordered the silver I can coat the damaged area of the underbody and strengthen it underneath. I also plan to use some of the PowerMesh on the bottom of that floor pan. Everything dried overnight, so we were ready to rock and roll this morning. Sara went over the area thoroughly with her parts brush to loosen any dirt or debris, and I vacuumed everything off. One of the small things needed for a conversion is the proper chrome frame for the license plate. I found a couple of sources online, but they were very expensive. 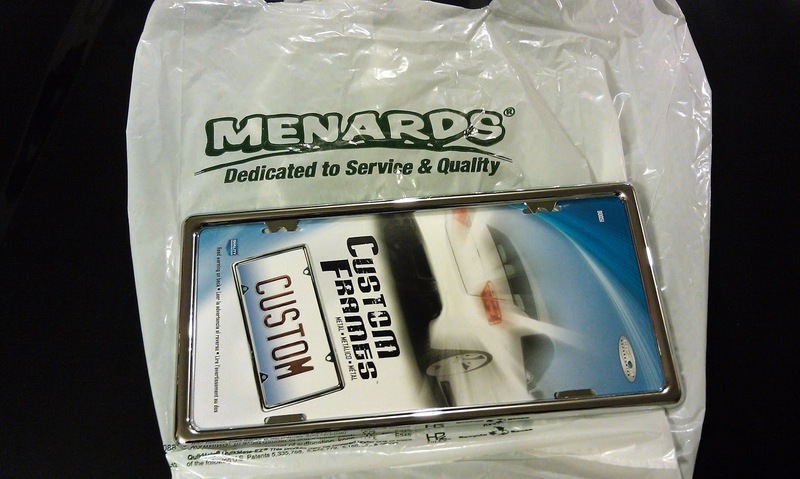 We found the frame below at Menard's for only $5 and it appears to be an exact match. 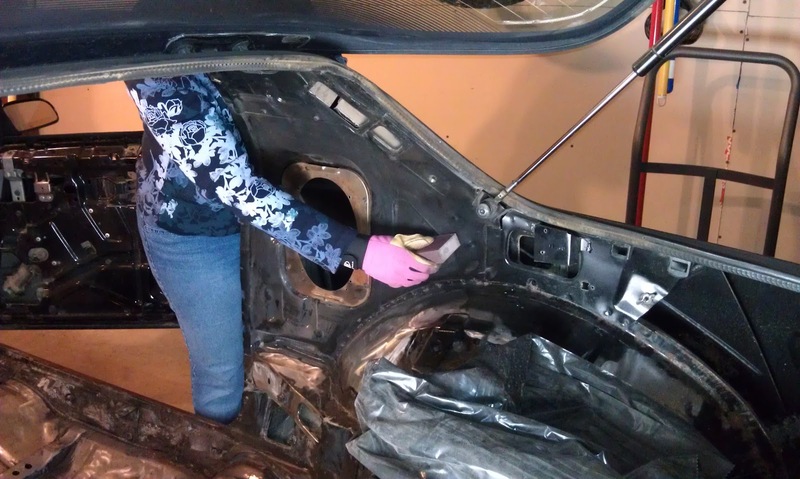 Our plan Saturday was to POR-Strip the entire interior of the car. 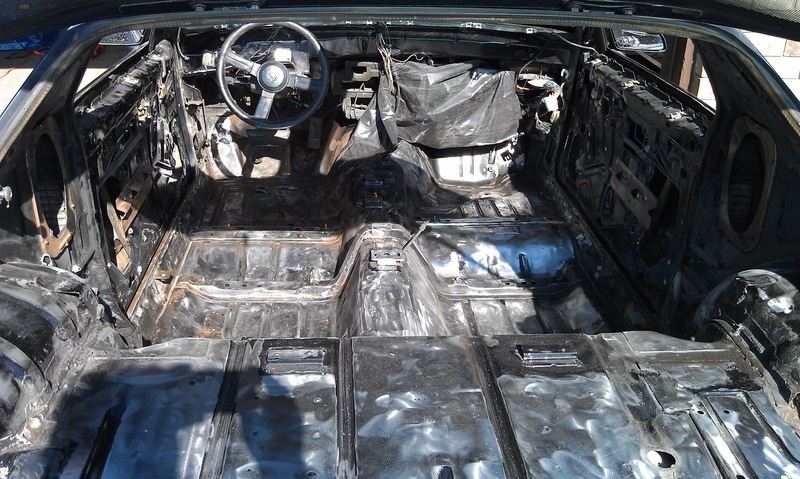 We started on the front floor pans just below the firewall. We followed the same procedure we used for the firewall Friday, although the results were not nearly as good. It required much more scraping and scrubbing, and left a lot of paint behind. When it came time to rinse, we ran into an issue with the wind and rain outside. Since we could not roll the car outside, we did our best to rinse the front section off in the garage, and decided to work on something else until the wind and rain ceased. We started by sanding all the remaining well-painted areas in an effort to rough them up for adhesion. Sara used a sanding block for this. I used the mouse sander on a few spots in the truck area, but it seemed to gouge the metal unnecessarily. Our second attempt at the POR-Strip yielded better results. We left the first application sit for 30 minutes and then brushed on a second application which was allowed to sit for 15 minutes. 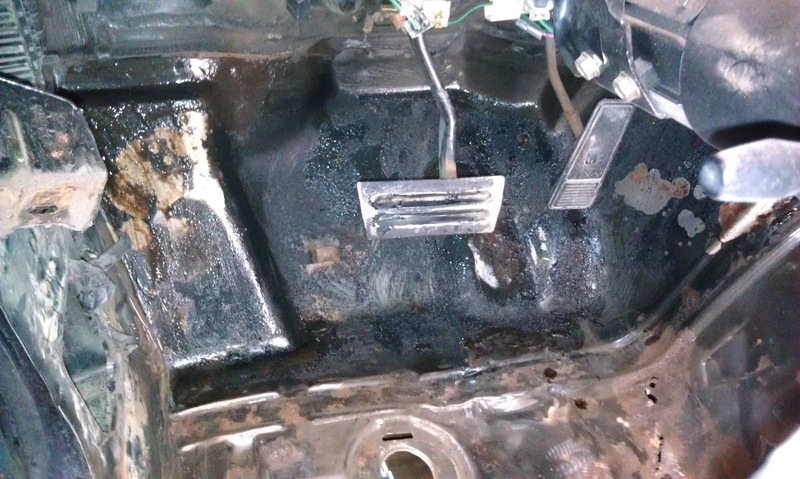 Removal was much easier and actually removed all the paint and primer down to the metal in many areas. In other areas just the paint was separated from the primer. Sara tackled the passenger side and I did the driver side. After getting all the loose paint off with a combination of scrapers and hand wire brushes we decided to try a third application. Third application did the trick and I would say that we were able to get 95% of the paint and primer off. The final photos are after a quick neutralizing rinse. We will do a more thorough cleaning tomorrow when we can get the car outside. The garage was a mess of tools so I spent the night picking up after myself and then worked on separating the t-top bar from the car frame. I will need a new t-top bar as this one is rusted out beyond saving. So far it still doesn't look like there are any holes in the body of the car around the T-top channels, but the channels themselves are going to need some attention in order to save them. 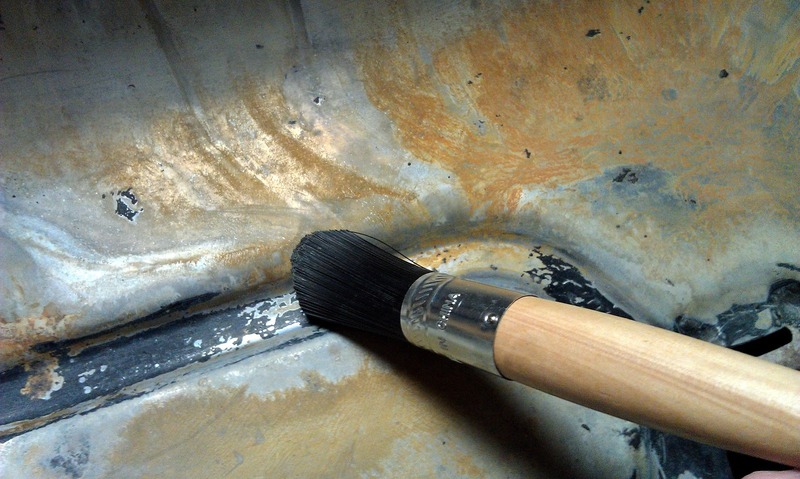 We spent today doing some more grinding and clean up of the floor pans and rear cargo area. We found out it does not need to be down to the metal for the POR-15 to adhere; it just needs to be free of flaking and needs to be well scuffed. At this point I am still planning to do the entire interior, but we will see how the floor goes. 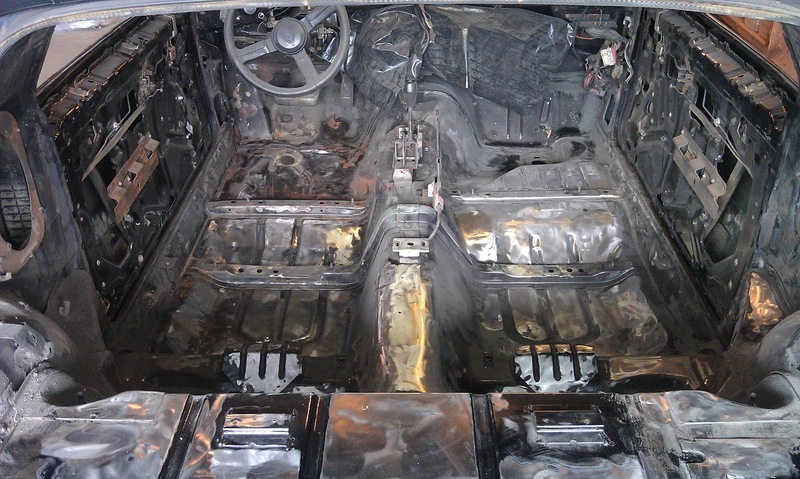 Today we continued to work on stripping the paint and removed all of the seam sealer from the interior.